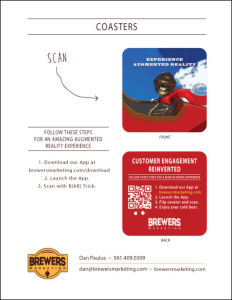 Give your favorite customers a taste of excellence with Brewer’s Marketing! 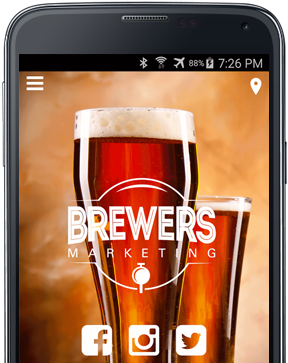 Download our customized app today to experience first-hand how you can engage customers, enhance sales and build relationships and shape your brand – all through our feature-rich customer engagement marketing platform. Connecting with your fan base has never been easier! Cheers! 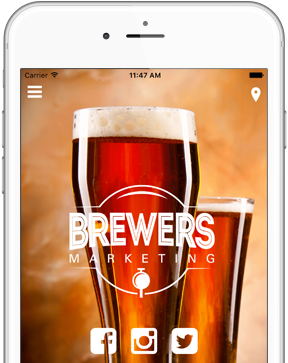 Request a Quote and Connect With Your Customers! Complete the following form and we'll email you our sample AR targets.